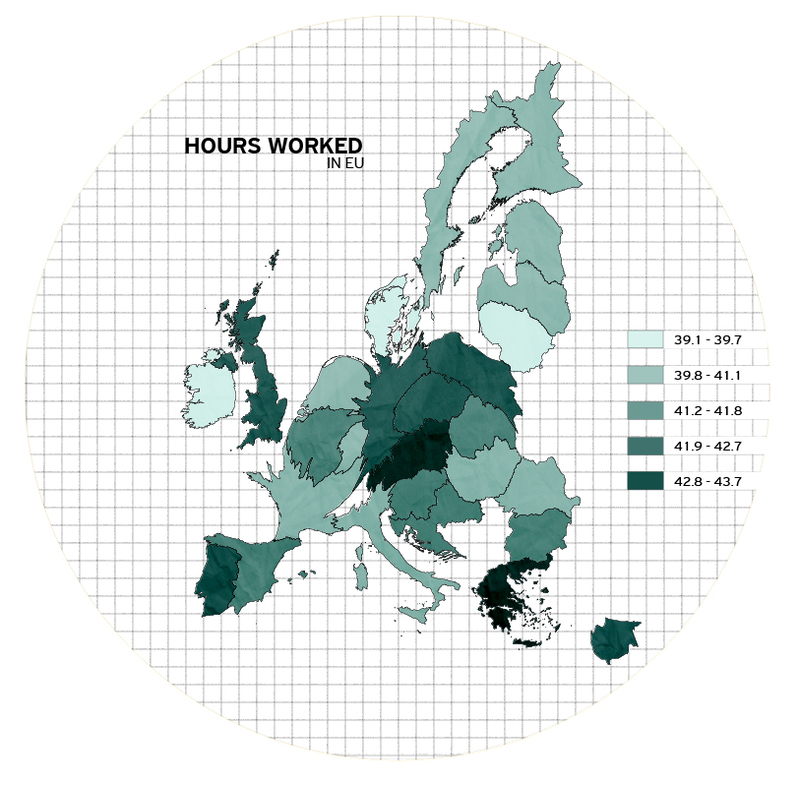 Who works the longest hours in Europe? A Guardian article in 2011 presented a dataset regarding employment and producticity. Greece and Austria come first with 43.7 working hours per week, although the index of productivity per hour is another important factor! I decided to create this cartogram to visualize this view of Europe. Cartograms are maps that take into account additional variables to draw the shape and the size of each element. It is an interesting way of visualizing data, as it distorts the way we perceive spatial relationships. If size and distance were not elementary in the visualization process of the world, the above would be the map of the hard-working countries of Europe (regardless the results as productivity is not taken into account).